"To what shall I compare this life of ours? "Goddess" is a Kamini Incense from their highest, premium quality Masala range. An evocatove, reassuring fragrance to aid you in contemplace, meditation and peace. 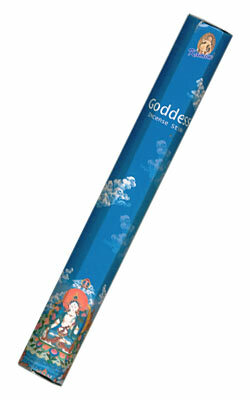 "Goddess" is a Kamini Incense from their highest, premium quality Masala range. An evocative, reassuring fragrance to aid you in contemplace, meditation and peace.